Karen was in the Class of 1961 at McGuinness. She was born on August 12, 1943 and died on October 15, 2007. 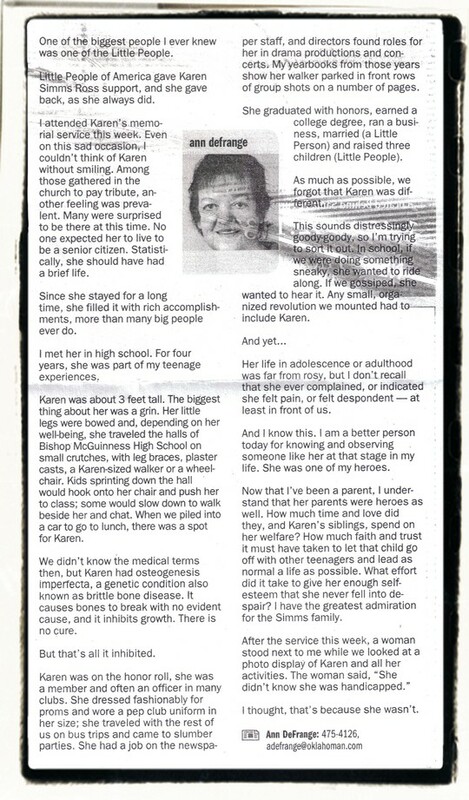 The article below (after Karen's obit), which was titled Late Friend Had Full Life, Rising Tall Over Condition, was written by a classmate of Karen's, Ann Maschino DeFrange.